I missed Gunday in the cinema as I was in Tamil Nadu at the time of the film’s release, and it had finished its run by the time I got back to Melbourne. It’s a film that I think would show better on the big screen to fully appreciate its boisterous lead men and riot of colourful masala, but it’s still an entertaining watch on DVD. Ali Abbas Zafar takes us back to the buddy films of the seventies, although doesn’t quite ever manage to reach the same heights as The Shashitabh films of that era. Still, buffed and oiled leads Ranveer Singh and Arjun Kapoor have a fine bromance while Priyanka Chopra adds glamour and style to the proceedings. Add in some Irfan Khan and you have the recipe for a vibrant mix that is all the better for not being just another rehash of a Southern India film with a Northern twist. There are some issues with the film; the excessive amounts of slow-mo and a bit of a lag in the second half being the major offenders, but otherwise there is plenty of colour, glamour and camaraderie to make Gunday well worth watching. The film opens as young Bikram (Darhsan Gurjar) and equally young Bala (Jayesh V Kardak) seal their friendship in a Bangladeshi refugee camp when Bala rescues Bikram from a sleazy army guard. The two mates have their feet set on the road to crime from an early age, acting as gun couriers in the camp and subsequently stealing and selling coal after they reach Calcutta. Initially I thought that Ali Abbas Zafar was going to shine a spotlight on difficulties faced by Bangladeshi refugees in India, or perhaps focus the drama on child abuse, poverty or displacement due to war, but although he starts with a rejection of Bikram and Bala due to their background, apart from their own statements about the discrimination they have encountered there is little else in the film which follows this theme. As in many seventies films, anything with the potential to be serious is glossed over and we quickly move forward a few years to the adult Bikram (Ranveer Singh) and Bala (Arjun Kapoor) and their current life of crime. While Bikram and Bala may have started small, they have somehow worked their way up in the intervening years to become Calcutta’s biggest gangsters. 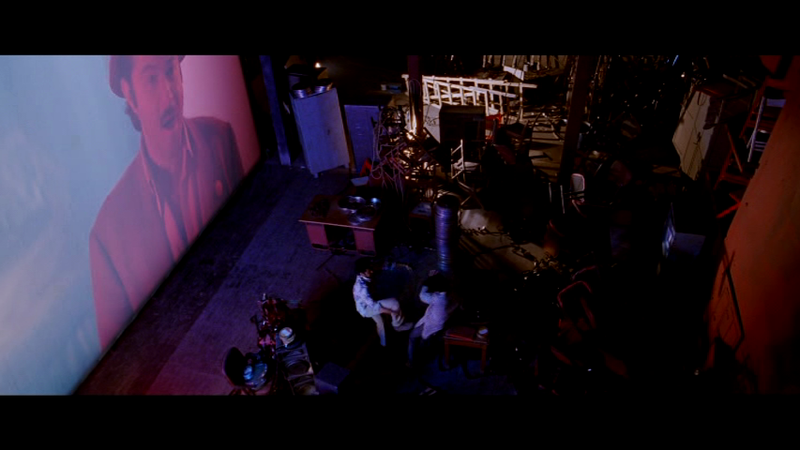 Although a gang is occasionally mentioned, their opening scenes show them working with each other to remove a local gangster and steal his coal. There is no doubt that they are brutal killers, but as a useful side-line they finance schools and hospitals, cementing their ‘lovable rogues with hearts of gold’ personas. The contrast is clear – dirty deeds are done covered in coal dust, while philanthropy comes courtesy of oiled chests, unbuttoned shirts and sharp white suits. So, having established that the friendship between Bikram and Bala is the defining feature of their lives, the scene is set for upheaval when they meet and both fall in love with club dancer Nandita (Priyanka Chopra). But the romantic rivalry is not the only problem they face. Assistant Commissioner of Police Satyajeet Sarkar (Irrfan Khan) is on their trail and searching for even the smallest sniff of evidence to lock the boys away for their criminal activity. It’s a well-trodden path but mostly good performances from the cast make it a fairly enjoyable one to walk, while a few plot twists help maintain momentum. Irrfan Khan is the standout here, and he is smooth and polished as the ACP while still maintaining a street cop vibe as he pursues Bikram and Bala. 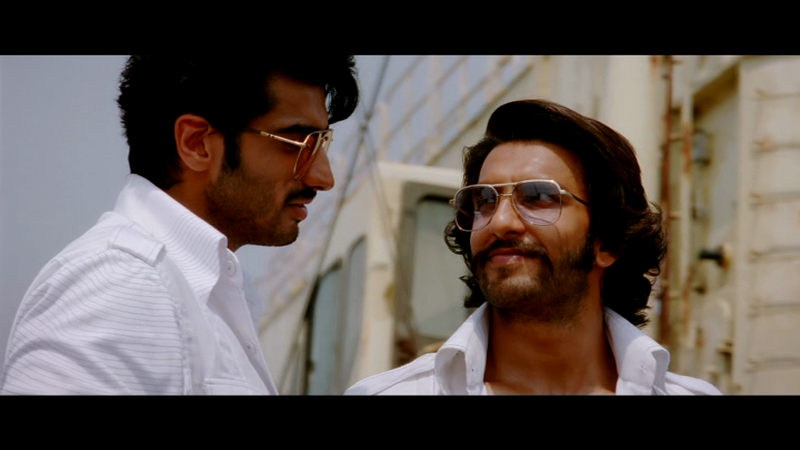 Ranveer and Arjun have good chemistry together but individually Ranveer impresses more in his role as Bikram. That’s partly due to Bikram’s more shaded character and Ranveer certainly has more opportunity to show off his acting skills, but he also has so much energy that he seems to explode off the screen. It’s noticeable in the songs that Ranveer is putting in more oomph than Arjun, and the difference in energy levels causes a lull in the second half when the focus moves onto the characters as individuals rather than as a pair and attention is focused on Bala. Bala is a more two-dimensional character and is limited by his depiction as headstrong and angry without a sense of burning injustice or any tempering balance to offset his constant rage. 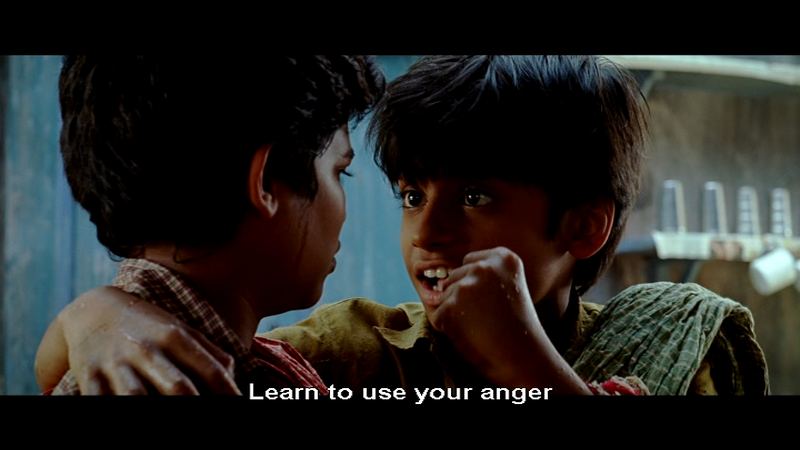 There’s also a certain inevitability to Bala’s actions while Bikram seems to be more in control of his own destiny and frequently stops Bala from rushing off to do something stupid. 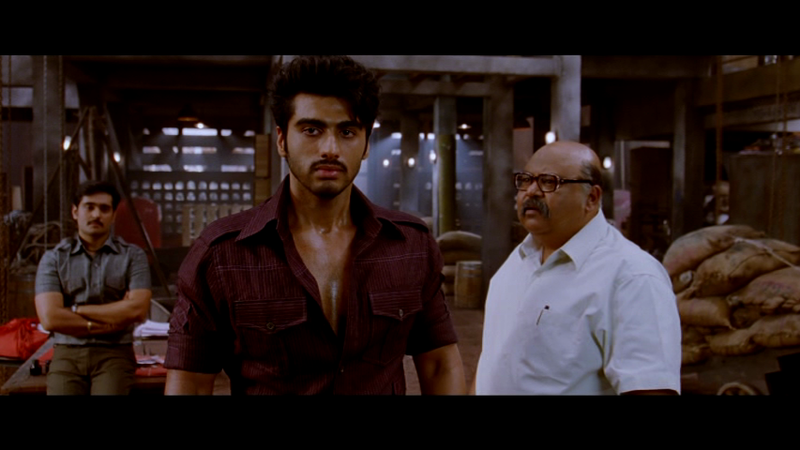 Bala comes across as just plain angry and Arjun’s performance occasionally slips into simply bratty and petulant in contrast to Ranveer’s slightly more mature and definitely more nuanced reactions. However in the scenes with the two together, Arjun and Ranveer do make a likeable pair and the film relies on their jodi to keep the masala quotient high. Priyanka Chopra looks amazing as the sultry singer Nandita, and Ali Abbas Zafar cleverly develops a contrast between her on stage persona and sari-clad and demure appearance when out shopping in the market. It makes her seem more of a real person and less of a clichéd love interest although she doesn’t have much else raison d’être initially. However as the story unfolds and she becomes more involved with Bikram and Bala there is more scope for her as an actor and she makes the most of her role in the second half. Along with Irrfan Khan she appears as a very polished performer, while support stalwart Saurabh Shukla is effective in his small role. The two young actors who play the gangsters as children are also impressive, hamming it up for the camera and generally fitting well into the seventies vibe. 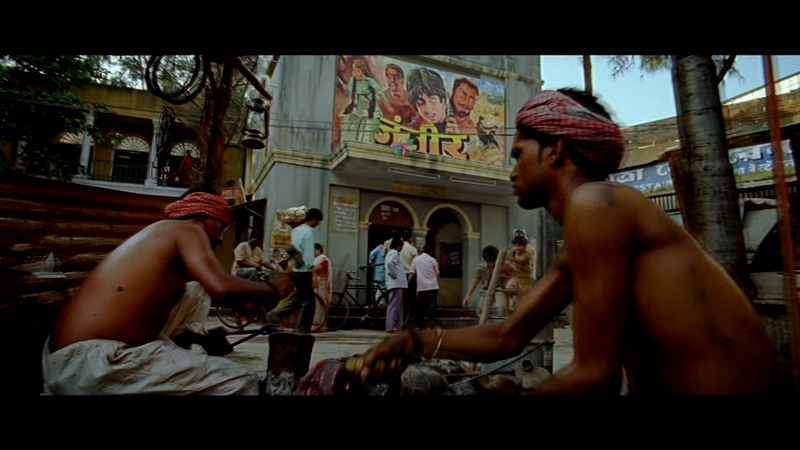 The masala feel of the story is enhanced by references to Sholay and Mr India, including a memorable fight scene to the backdrop of the later, while songs from Pakeezah and Disco Dancer in the background help settle the film firmly into its adopted era of the seventies. 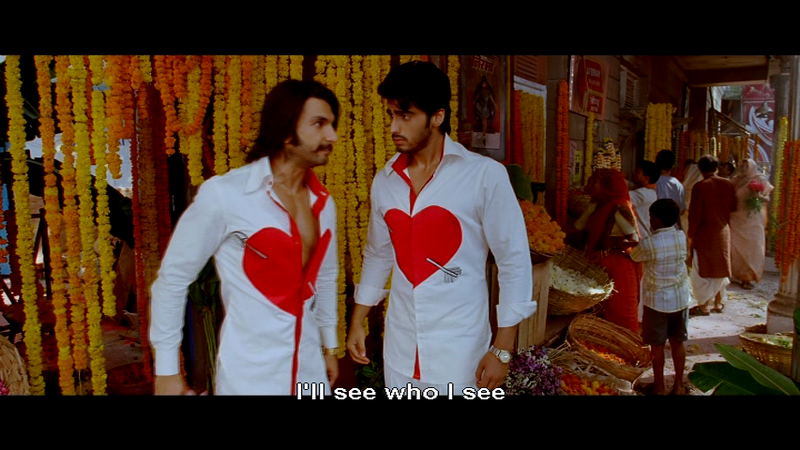 The costumes also add to the cheesiness of the film, and Ranveer and Arjun are given plenty of opportunity to show off their manly chests in a variety of gaudy shirts. Nothing to complain about there! Although Gunday falls somewhat short of ‘classic’ masala it’s a good attempt to recreate the magic of seventies Bollywood and gives me hope that the genre is still alive and kicking. Although the elements are all there, they don’t quite gel together to give the complete package despite good performances and plenty of onscreen chemistry between the main leads. 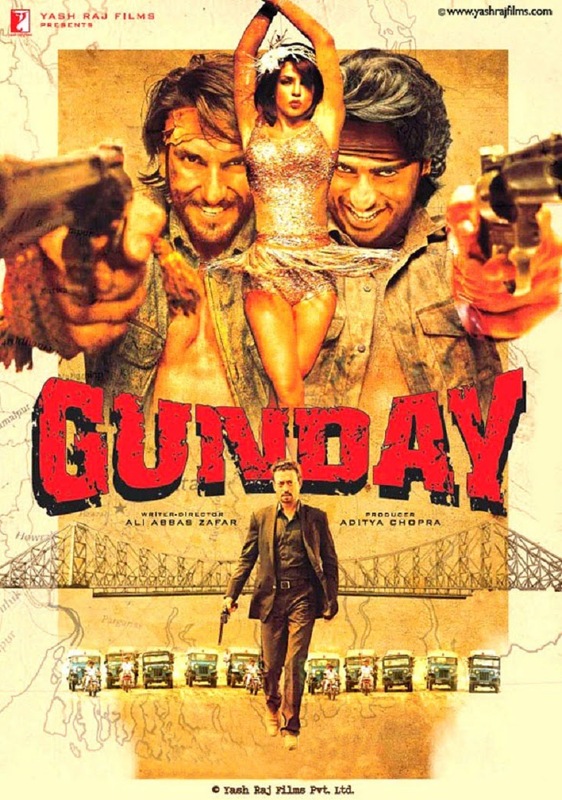 A little more depth to the characters would have helped, but Gunday is still a rollicking yarn that delivers plenty of action mixed up with a serving of dosti and betrayal – and that is plenty to be going on with. 3 stars. 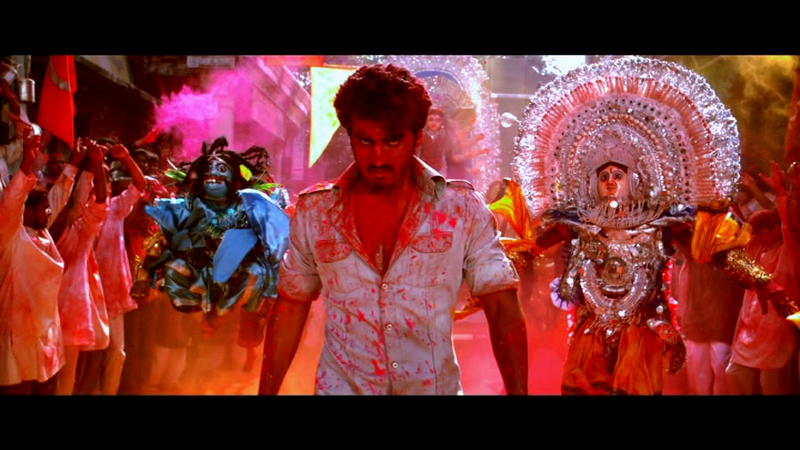 This entry was posted in Bollywood and tagged Ali Abbas Zafar, Arjun Kapoor, Darshan Gurjar, Gunday, Hindi, Irrfan Khan, Jayesh V Kardak, Priyanka Chopra, Ranveer Singh, Saurabh Shukla, The Shashitabh. Bookmark the permalink.